And a good way to start the day. Watch this. The work doesn't stop just because practice does. Hold on - Jose Reyes pitched last night? Taking advantage of each day. Even when you're not on the Browns, the Browns make mistakes that affect you. 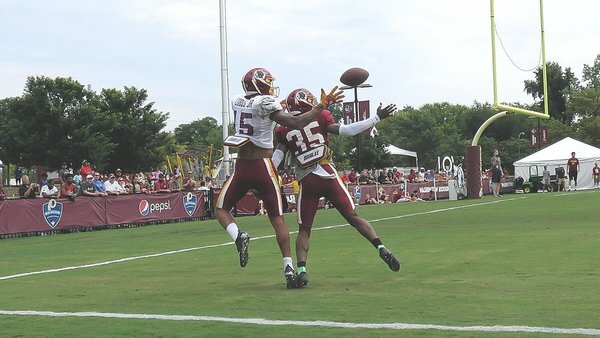 Gruden: Rob Kelley has had a great camp. Adds maybe he could play fullback? Question from @JPFinlayNBCS to Jay Gruden: "Is Jamison Crowder going into the season as the punt returner?" Gruden: "Yeah. Yeah, why not?" Jay Gruden said RB Rob Kelley is having a "great camp." Gruden said he's not sure how many RB's they'll keep. Said depends on what do at other spots. 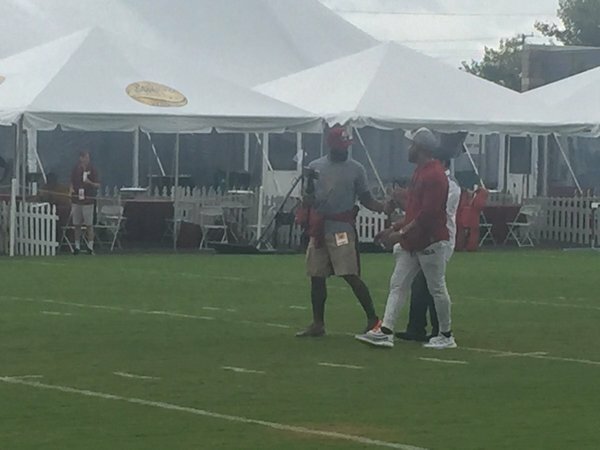 At some point might see if Kelley or Perine can also play FB too. Gruden on what makes Crowder so QB friendly: "He takes very friendly angles, has strong hands and he's fearless.... Makes for a perfect slot." Gruden also said Crowder will continue to return punts. "Yeah, why not?" Clearly they viewed last season as an aberration in terms of his fumbles on punt returns. Jay Gruden said he's 100 percent confident Chris Thompson will be ready for the start of the season. But he's not sure yet if they'll have to limit his role early. 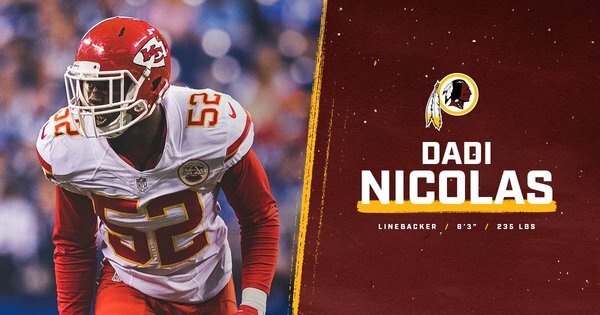 Redskins signed LB Dadi Nicolas; waived OL Alex Balducci, the team announced. One of the greatest to ever do it! Trey Quinn first team rep and nice diving catch. Paul Richardson just made a diving catch for about 30 yards. Having a good day. Jay Gruden on Maurice Harris. Says he might be best route runner on team. Loves his blocking. Big help on special teams. I seem to recall these adjectives about a certain former Skins receiver. Another great throw and catch to Paul Richardson. He landed hard though. Doctson walking to trainer tent now. Holding his left arm.